You guys, this whole "starting a charity" thing has been a roller coaster. I had the idea and even ordered the quilt labels almost a year ago. But then I put everything to the side and let it sit. Because I wasn't sure I was up for it. Wasn't sure how it would be received (there is hardly a more delicate time in a person's life than when their loved one is about to die.) I knew I couldn't do it on my own and worried that no one else would pitch in. I was afraid. But then I realized that no matter how few or how many quilts we are able to provide, it's like that story about the starfish. Each one makes a difference to that family. And we can't affect how out quilts are received. They are given in love, and that's enough. As for my fears that I would be all alone in this, well, slowly but surely the quilts and tops are trickling in. Like these from Barbara. The one above is made from mens' shirts ranging from flannel to something like microfiber. The colors and textures are delicious! Barbara was kind enough to send not just the tops but matching backing fabrics as well! All I had to do was baste, quilt, and bind. In contrast to the first quite traditional top, the second one is very sharp and modern. I decided to be a little more creative with the quilting on this one instead of just a stipple. 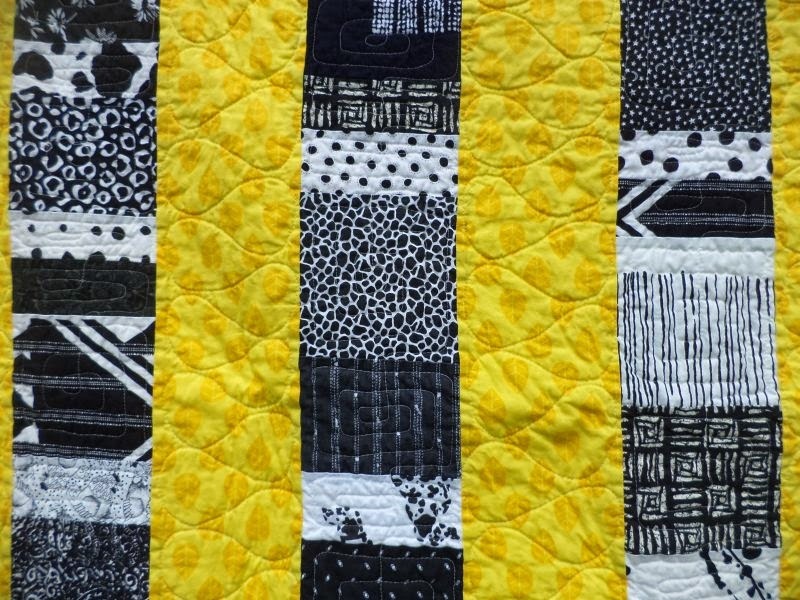 Ribbon candy in the sashing and square spirals in the patchwork. I took these two quilts and four other up to the hospital last week. 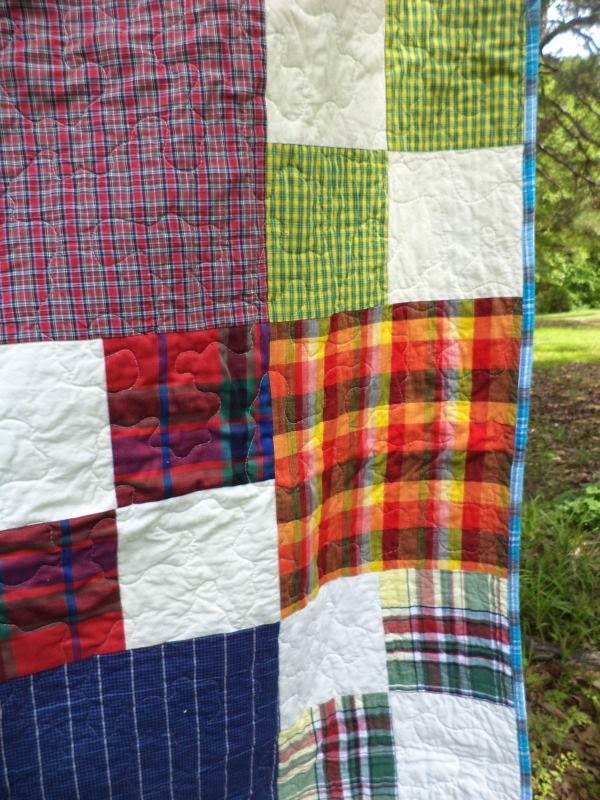 Covered in Love provides quilts to families of patients who are passing away in the hospital. 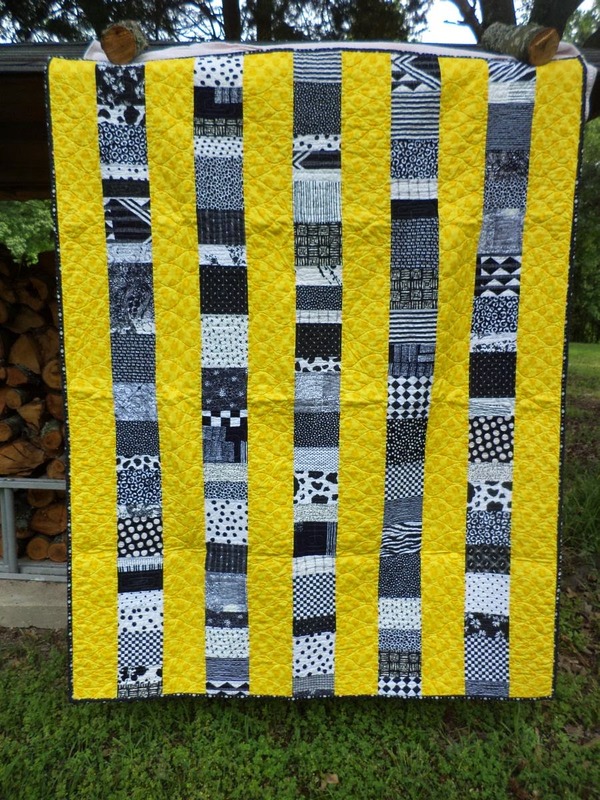 If you would like to contribute a finished quilt, top, or blocks I promise they would go to good use. Please check out the main page for more info and comment or email me for more info. 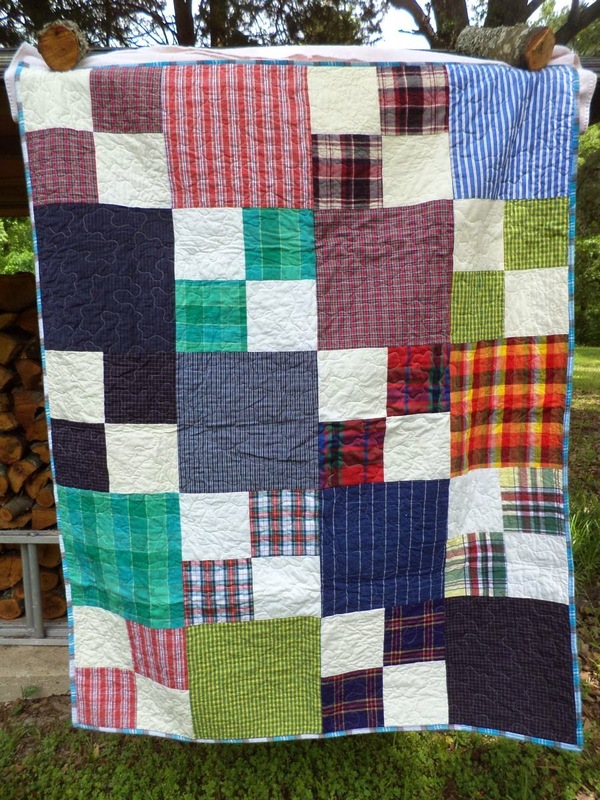 Beautiful quilts, Kat! How generous of Barbara to send the tops and the backing. I am sure the families greatly appreciate the quilts they receive!